Triple two-story cabin, located in the bow of the middle deck. The cabin consists of 2 single beds and a bunk bed shelf, restroom (washbasin, shower, toilet), TV, central air conditioning, cabin hairdryer, individual phone line. 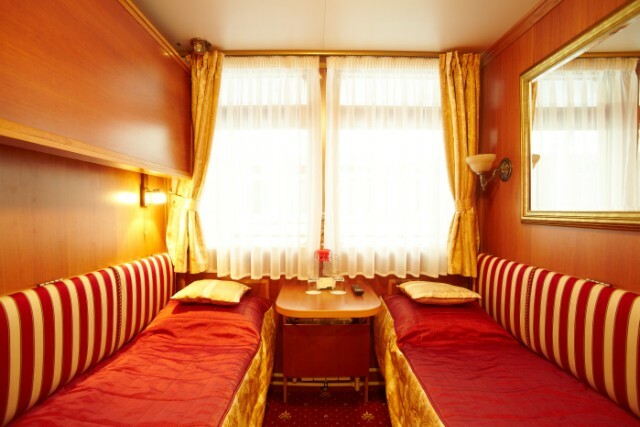 Berths in cabin: main 2, upper 1.